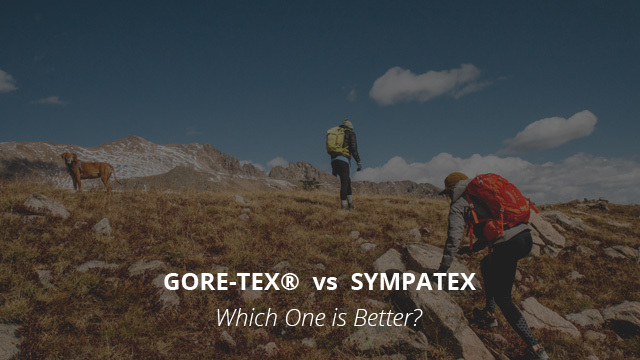 Gore-Tex vs Sympatex Fabric Technology: Which One is Better? With the weather that is upon us, and knowing that it will continue getting worse before it gets any better, we all turn to our jackets and outdoor clothing to keep us warm and dry in such conditions. While there is certainly no shortage of winter clothing out there, not all of them perform the same and as such, they come with certain features such as being waterproof, water-resistant, windproof and so on, all terms that we are certain you have come across before. 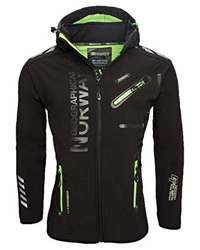 The material and design of a jacket is what gives it all of the abilities we mentioned above. By material, we don’t solely mean polyester, nylon, cotton or any other type of normal fabric out there. While some of those might provide some level of protection, when it comes to wet and unstable weather those fabrics cannot cope on their own. Enter fabric technologies. These fabrics are specially-made to withstand heavy rain, snow blizzards, harsh winds and wear and tear. But that is not all, as these fabrics are also designed to be breathable, a quality that is very important, especially for sports clothing. In some of our previous fabric technology comparisons, we used Gore-Tex, the most renowned waterproof technology, as the point of reference for other technologies. Today we will do the very same, as we look at Sympatex, an eco-friendly fabric technology that is a newcomer on our site, as it has not been featured in any previous reviews or selections. 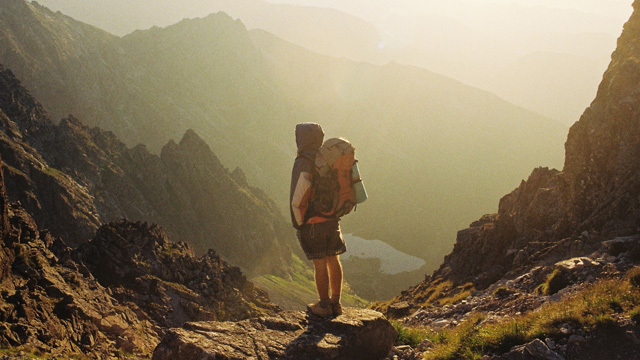 Gore-Tex® is both a brand name and a fabric technology. As a brand it was established in the 70s, after the renaming of the original company, which was established in 1959 by Wilbert L. and Genevieve Gore. As a fabric technology it came to be in the early ’70s, when the son of Wilbert and Genevieve created ePTFE, the core material of Gore-Tex. ePTFE is a microporous material, which is able to prevent water from seeping through, due to its very low adsorption rate. 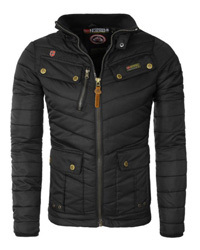 It is also incredibly durable, giving Gore-Tex jackets and clothes a reputation for being extremely long lasting. The millions of pores available per square inch, while preventing water droplets from moving through, do, instead, allow perspiration vapor to pass, which is what gives Gore-Tex its breathable quality. a technology because it can be used for different purposes and is breathable, along with being waterproof. 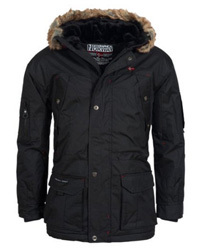 Gore-Tex is used in several outdoor clothing designs and gear, but it is most commonly recognized for its use in jackets. There is not a single Gore-Tex fabric, as that would be too generalizing and lacking in terms of performance. Different activities have different requirements and as such a fabric technology needs to adapt to that. PackLite – the lightest option, suitable for casual and light daily wear. Pro – very durable and highly breathable, suitable for mild outdoor sports. Active – highly waterproof and the most breathable of the options, it is suitable for physically demanding sports. Pro Shell – typically used in shoes, gloves and socks, made to be extremely resistant to abrasion. SympaTex is a waterproof fabric technology made by SympaTex Technologies GmbH in Germany. While it performs like a true fabric technology, there is something that sets it apart from the other options available, it is eco-friendly and 100% recyclable. The reason for this being that it is made of a hydrophilic polyether-ester polymer, which is a natural composition that is biodegradable. To further guarantee its safety, SympaTex has received numerous certifications that express exactly that, one such certification being the Oeko-Tex Standard, which ensures that the material is harmless to our health. The Bluesign certification, on the other hand, ensures that SympaTex is not harmful to the environment either. In terms of construction, it is a non-porous membrane, unlike the ePTFE of Gore-Tex. Now, you might be wondering about breathability, since we mentioned above that the micropores are what allow Gore-Tex to “breathe” as a fabric. Well, SympaTex does in fact breathe, and very well actually, but it does so through a chemical process, which is attributed to the hydrophilic nature of its components. What happens is, as the membrane picks up high levels of moisture, it expands, thus allowing moisture from inside the body to move out through the molecule chains. Therefore, the warmer and the more humid the inside of the jacket, the more moisture the membrane is able to transport out. Another quality of this membrane is that it can be used along numerous materials, which serve as a base, thus creating a laminate that can be used in different clothing items, including shoes. Now that we have a better idea as to what to expect from these two fabric technologies, it’s time to take a look at how their performance measures up. Since we started with Gore-Tex, let’s first go through its waterproof rating, which measures at around 28.000 mm and can go over that for some of the options. This categorizes it as highly waterproof, which means a longer duration under heavy raining or snowfall. On the other hand, SympaTex has a base water column of 20.000 mm, putting it to an almost identical performance level as Gore-Tex, but in certain laminate layers it can go up to 45.000 mm. Therefore, in this regard, SympaTex has a slight advantage, but overall they perform similarly. As we mentioned before, breathability is the ability of a fabric to allow perspiration vapor to move through and out. This ability is measurable and in the case of Gore-Tex it is around 15.000 g/m2/24h at base level, and in the case of Gore-Tex Active it can go above that. This same performance option has a RET (resistance to evaporative heat transfer) of 3, which is considerably breathable. In the case of SympaTex, there is only a RET measurement available, which is around 0.5 RET, making it highly breathable. In regards to wind-resistance, both fabrics are windproof. In terms of durability, Gore-Tex outdoes any fabric technology, as the ePTFE membrane is highly durable and does not really give in to the elements or wear. Therefore, out of the two, it will last longer. When it comes to wear, SympaTex is the definite winner as it is a very comfortable fabric, that has the ability to stretch considerably. 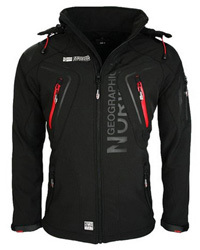 Gore-Tex, due to the ePTFE membrane is quite stiff and as such it is not the most comfortable to wear. We did mention that SympaTex is an eco-friendly fabric technology, due to its components being natural and 100% recyclable. ePTFE is a synthetic material, as such it does affect the environment, making it the least eco-friendly of the two. It is also very slow to degrade in nature, unlike polyether and ester, which are natural components. The use of DWR treatment is present in both fabrics, but PFC-free DWR products are used in both cases, meaning a very minimal environmental impact. Gore-Tex has also made considerable progress in minimizing its impact, but still, out of the two, SympaTex is the better option for those of you who are especially concerned with sustainability. We rarely have a straight forward answer to this question, the reason being that it all depends on what you are looking for. Because these fabrics perform very similarly, there isn’t much to consider as to which is the better option. However, with all that being said, SympaTex shows impressive performance qualities that we have not really seen often in previous comparisons. Make of that what you will. We will see you in the next one!